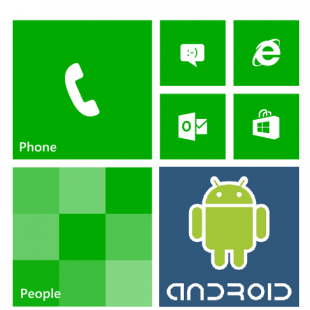 Microsoft might bring Android apps to Windows Phone to bridge the app gap. Microsoft's Windows Phone platform is firmly stuck in third place behind Android and iOS, and a lack of apps is a contributing factor to the perpetual bronze medal Microsoft earns every quarter. So it's not a complete shock to hear, via The Verge, that Redmond executives are considering Android app compatibility on both Windows and Windows Phone. The move, which has not been confirmed by Microsoft, would bring millions of games and applications to Microsoft's platforms. This wouldn't be a simple green light idea -- Microsoft would need to build app compatibility up from scratch, or it would need to partner with a company already experience in dual OS or app compatibility. Intel has been vocal in its support for apps that run on both Android and Windows, and software like BlueStacks let Android apps run on Windows right now, although support is touch and go at the moment. The Android app support would serve as a transition move, or at least that's what Microsoft wants in the long run. If Microsoft can get Android users to come over to Windows Phone with their apps, and get some percentage of them onto Microsoft-made services, it's a win.